Art I LOVE! 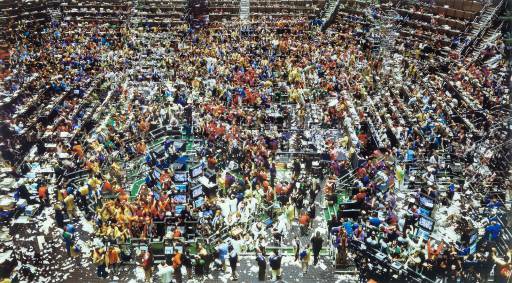 Andreas Gursky – GO BIG! 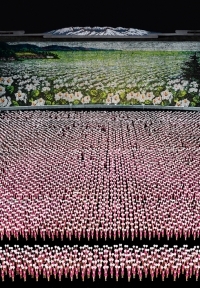 I love the photography of German Photographer Andreas Gursky (b. 1955). I particularly like his methodical approach and ordered way with these huge images. 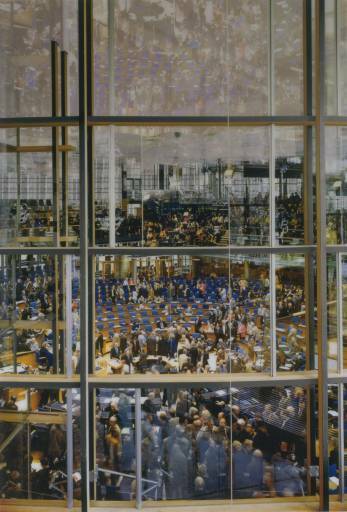 Gursky now uses digitally enhances and edits his pictures (and why not?). When I first started life drawing, I was a bit embarrassed and my drawings would be tiny, almost furtive! I was told repeatedly to GO BIG!!!!! and as the embarrassment lessened, I did! Some of Gursky’s pictures are 10 ft wide and 8 ft high! Now that really is going BIG isn’t it! 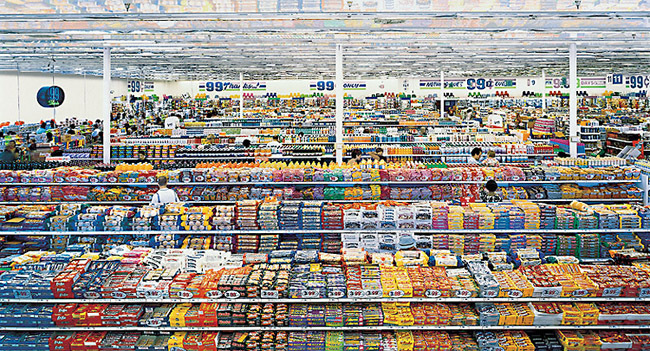 Gursky takes an almost dispassionate point of view regarding his work,(in the orderliness, I mean) and YET there is a lot of life going on in these pictures that makes these large scale images expose a synergy and symmetry that wouldn’t otherwise be seen. The relationships between man and his landscape which underpins his work shows an abstract quality which also attracts me. 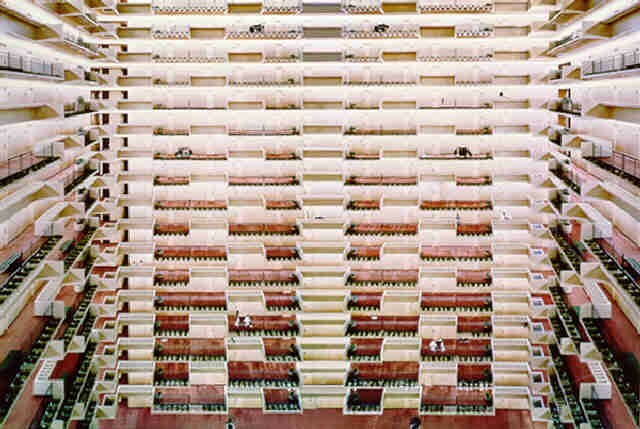 This entry was posted on April 8, 2009 at 12:21 am and is filed under ART, FAVORITE ART: Art I LOVE with tags andreas gursky, artists, huge format, photography. You can follow any responses to this entry through the RSS 2.0 feed. You can leave a response, or trackback from your own site.